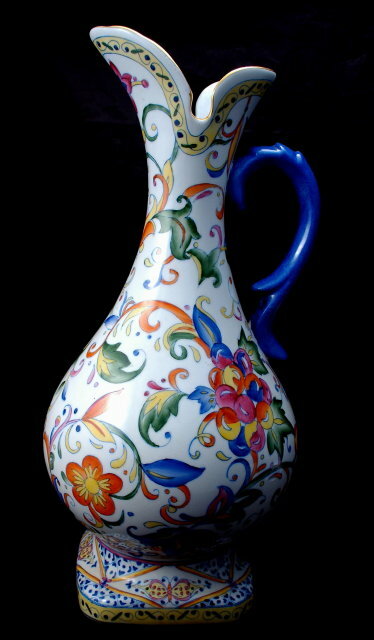 Large European Pottery Porcelain Ewer Hand painted brilliant colors . 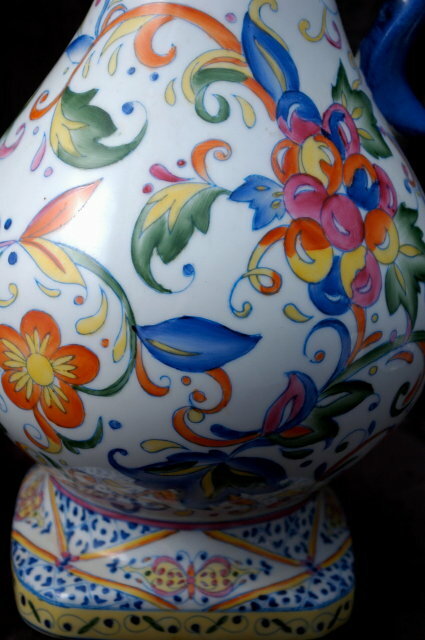 I believe it is Talavera from Portugal or Spain or even the South of France. It is not marked however it is made of heavy white clay, nicely formed and painted with lovely bright flowers. 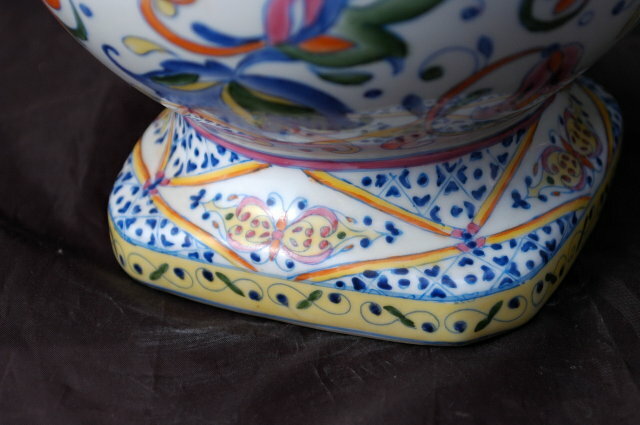 The base has a typical Talavera design. The notched spout is trim in gold leaf. 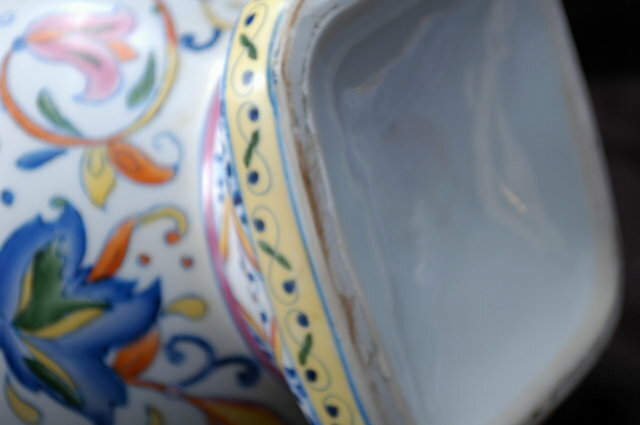 Items Similar To "Large European Talavera Pottery Porcelain Ewer Hand painted bril..."